Fresh Fruit Fit: Party Food! Going to a party and not sure what to bring? Here's a couple recipes that are fun to make and fun to eat! The other day, my husband and I had some friends over for a "Smoothies and Games" night. In addition to the smoothies, we also made banana ice cream, apples with carmel vanilla date dip, and some Zesty Avocado Poppers. 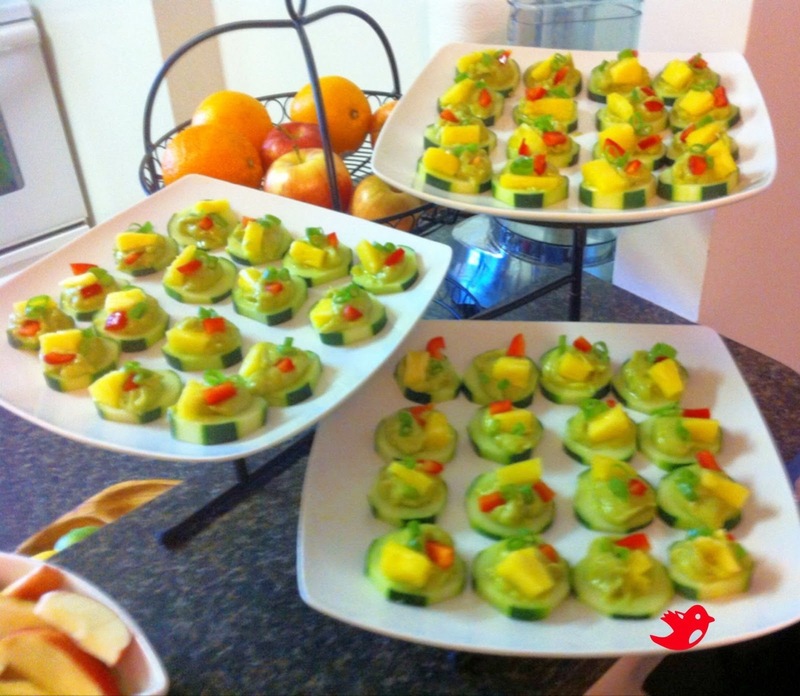 I adapted the Zesty Avocado Poppers recipe from Megan Elizabeth's Easy to Be Raw recipe ebook. Her ebooks were a huge help when I first went raw! She gives you lots of simple recipes with ingredients you can find at pretty much any grocery store. 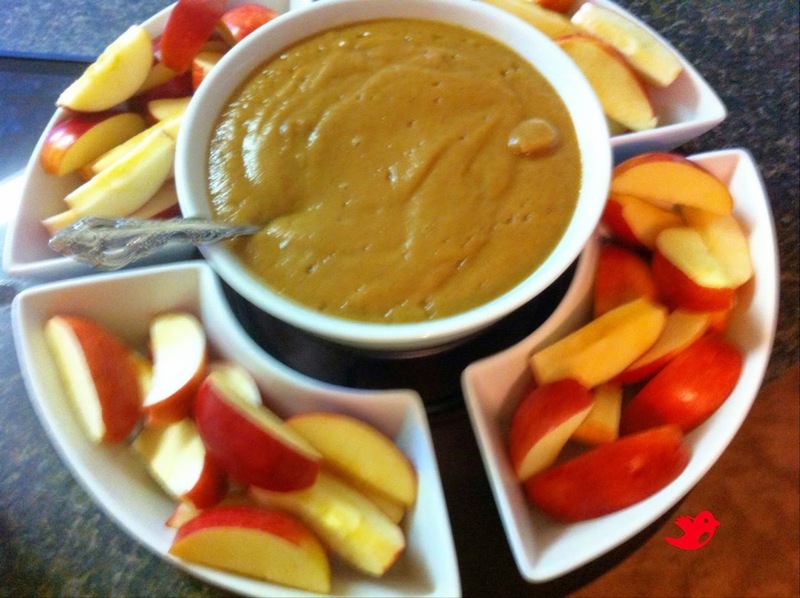 Cut apples and place in bowl. Squeeze lemon juice over the apples. Then cover the apples with just enough water. Set aside. Place the pitted dates in your blender. Add 1/2 cup of water, vanilla, and cinnamon. Blend till smooth. Add more water till you reach desired consistency. Drain the apples and place on a platter, and pour the date sauce in a pretty party bowl. Enjoy! Slice the cucumbers and place them on your platters. Place 1 1/2 cups of pineapple, avocado, 1/2 c. green onions, dates, celery, and 1/2 red bell pepper into the blender and blend till creamy. You may need to stop the blender and scrape the sides and press down to get it going. Chop up remaining pineapple, green onion, and bell pepper. Spoon the dip onto the cucumber slices, and assemble the toppings. Enjoy! **Tip: To make assembly easier, pour the dip into a plastic bag. Cut the tip of the corner off and use it like an icing bag! Remember to Like, Comment, and Share!